After sometime, I think there are time when we had to dig to our backup repository and restore things. 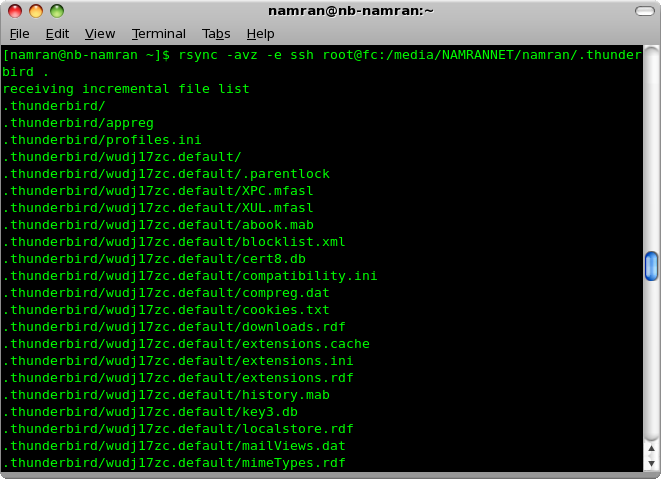 And this is when the combination of rsync and ssh become handy..
let’s say want to rsync from remote host to local..
[namran@nb-namran ~]$ rsync -avz -e ssh root@fc:/media/NAMRANNET/namran/.thunderbird . so.. now my thunderbird restored from that backup .. i think..
p/s : sort of preparation before going into dark-mode again.. Many people do not realize the potential that a strong social site can create for you. Explore several platforms and chose the one you feel would work best for you and your students.